XTAR-EUR is positioned at 29 degrees East Longitude. It was launched in February 2005 and entered service that April. It provides commercial X-band coverage over a wide geographic region from Eastern Brazil and the Atlantic Ocean, across Europe, Africa, the Middle East, and Southeast Asia to as far east as Singapore. 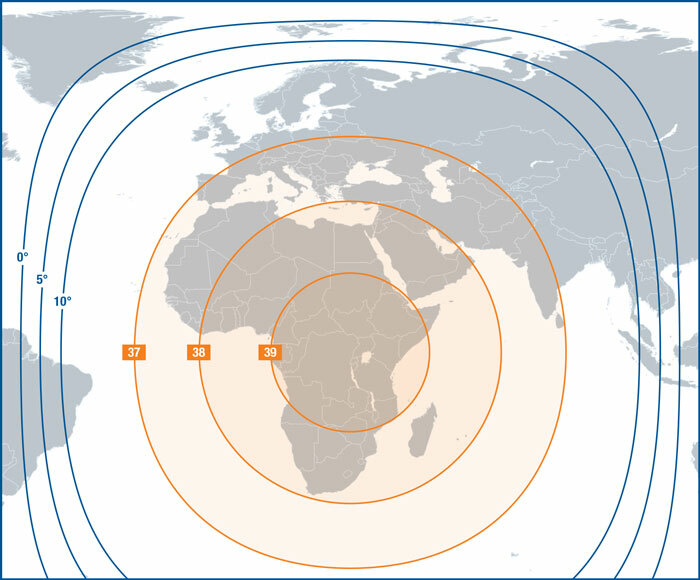 The extremely flexible payload is delivered through its global, fixed spot beam over Europe and four steerable spot beams which can be relocated anywhere within the satellite’s coverage area.